I just loved these papers from Bo Bunny! I loved the colors and patterns of these papers, and when I saw the cakes and cupcakes I just new I had to have the whole collection! I am planning to use most of them for a small recipe book for my daughter, loaded with all my mom's best cookie and cake recipes, but I just couldn't resist using some for a sweet little card for a friend. As you know by now, for me a card really just has to "do" something for me to be truly happy, so I decided to make this one a little suspension card where I could showcase two of my favorite little images from the paper. Doesn't the suspended circle that spins just make the card more fun? I hope you've enjoyed today's project! Until next time! Only a month remains until Halloween, so it is about time to get started on those Halloween greetings. Hero Arts has a few videos to help inspire some spooky thoughts, so we thought we would share those with you today. We hope they will get you in the right spirits (bwaaahhaaahaaa! Pun intended!) Enjoy! 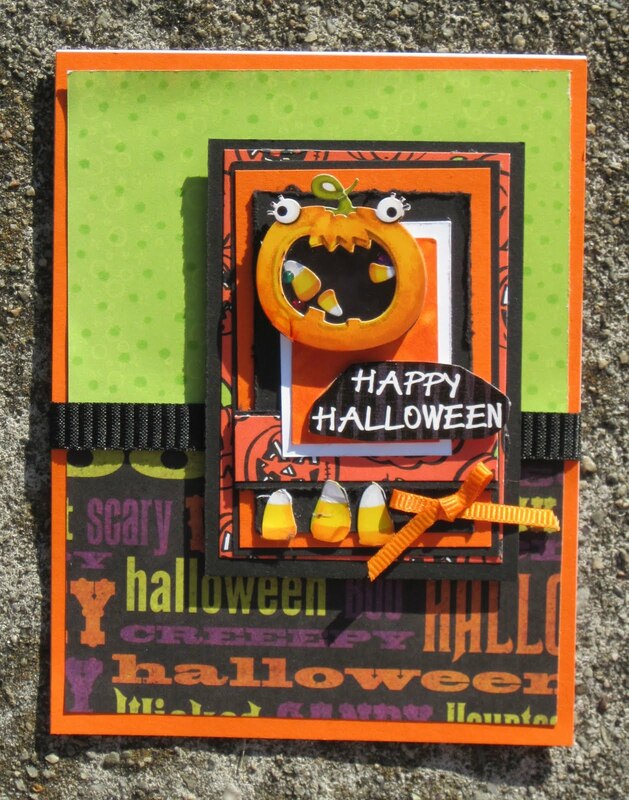 First up we have a little video for making a cute Halloween gift bag. Next we have a vellum window card. We think you'll love the way the vellum creates a ghostly image of the spooky tree stamped inside the card. By the way, FranticStamper DOES have vellum available, and we hope to get it onto the site soon. In the meantime, though, if you want some, just drop us a call or an email, and we'll get you set up! And lastly, we have a spooky (well, maybe not) tri-fold window card, with TWO windows. We hope you have enjoyed today's videos and that they will help get you creating for Halloween. 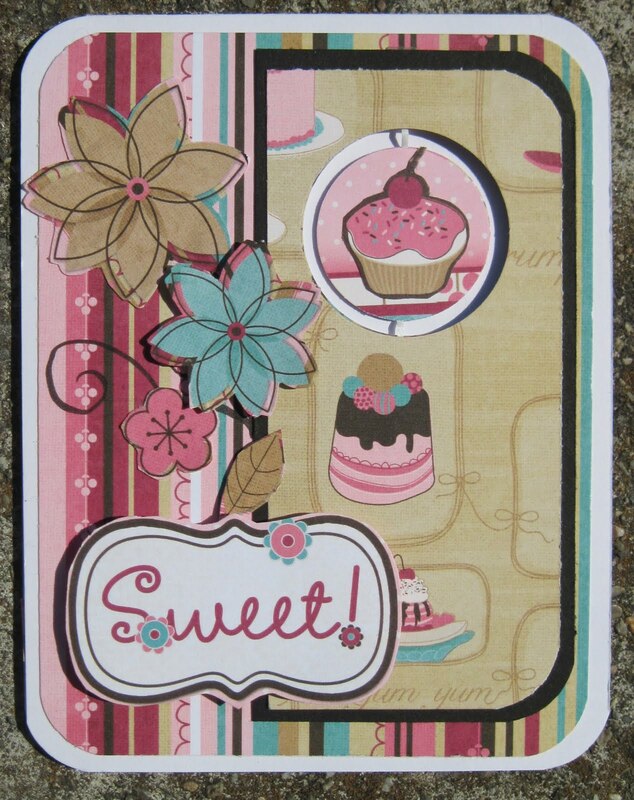 FranticStamper has a wonderful assortment of card-stocks, papers, stamps, and embellishments to help you. You won't be tricked if you treat yourself to some new goodies from FranticStamper.com! Warehouse Wednesday: We are swamped! The warehouse team has barely had time to breathe this week. 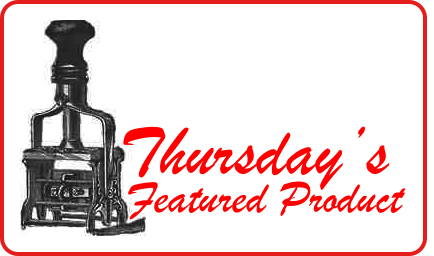 We have tons of new product arriving that has to be sorted, added to the web page, and put onto the warehouse shelves. We have been getting a lot of orders that are keeping us busy (BUT filling your orders is our reason for being! We just love to provide the best service we can and love getting the best products into your hands!) Plus we have a bunch of exciting projects for FranticStamper on the burner. We are so busy, though, that we really don't even have time to share anything special with you this week. We will aim for next week. In the meantime, be sure to keep checking our New Products page to see some of the wonderful new stuff we can send your way! Ink the edges with ink pads. Paint with light colour then dry brush edges with a darker colour or shade. Cover with dimensional magic to creater a glazed look and feel. Ink with embossing ink then coat with UTEE and heat. Repeat, then while last coat is still hot, stamp into the UTEE to emboss a pattern. Cover with glitter then coat with Dimensional Magic to seal. Add texture paste to the chipboard then swirl and/or stamp into surface to add pattern to the texture. Apply a paint and crackle medium. Leave to dry thoroughly then rub a darker tone ink or paint into the cracks to highlight. Add dimensional paints to the surface in a pattern. Glue paper to the chipboard piece. When dry, trim as closely as you can with scissors, then use a sanding block to sand off the edges, sanding from the front of the piece to the back. The edges will get a little distressed, so add to that by sponging on a little ink around the edges. We hope you'll enjoy trying these tips! Today's sketch, scaled for an ATC (3.5" x 2.5"), is unusual for this size in that it contains a number of layers. Those layers, though, can be perfect for showcasing a tiny stamp or sticker. 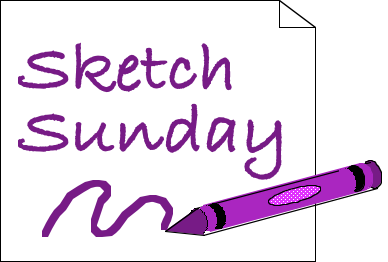 This week a few members of the design team took up a challenge to use the sketch this week so we could share with you. Here are their designs. 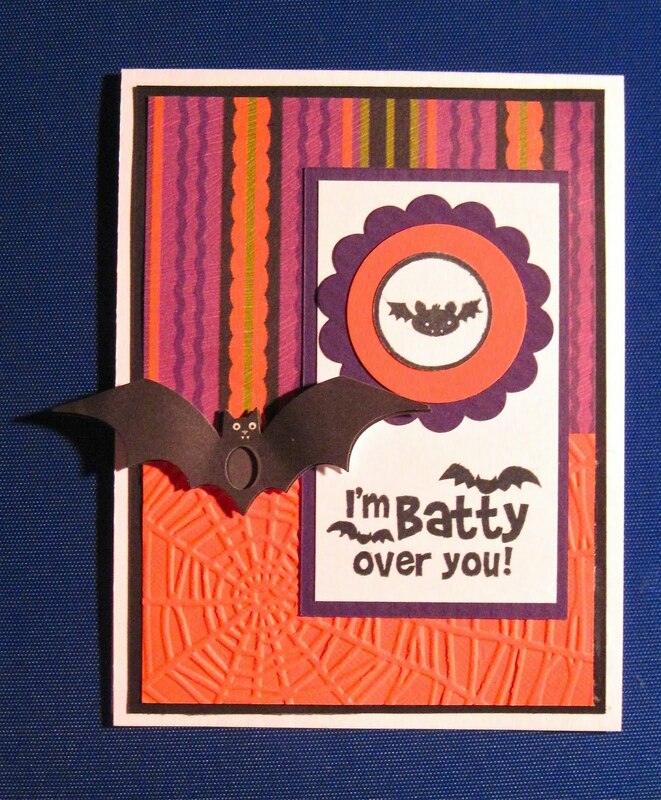 Kathy chose to be pretty literal with the sketch and made a Halloween ATC to share with you. The little Jack O'Lantern is a sticker that has a little shaker built in! Sharon, though, decided to be less literal and scale the sketch up to make a card. Here is her card, inside and out. Lis also decided to go with a card translation of the sketch. 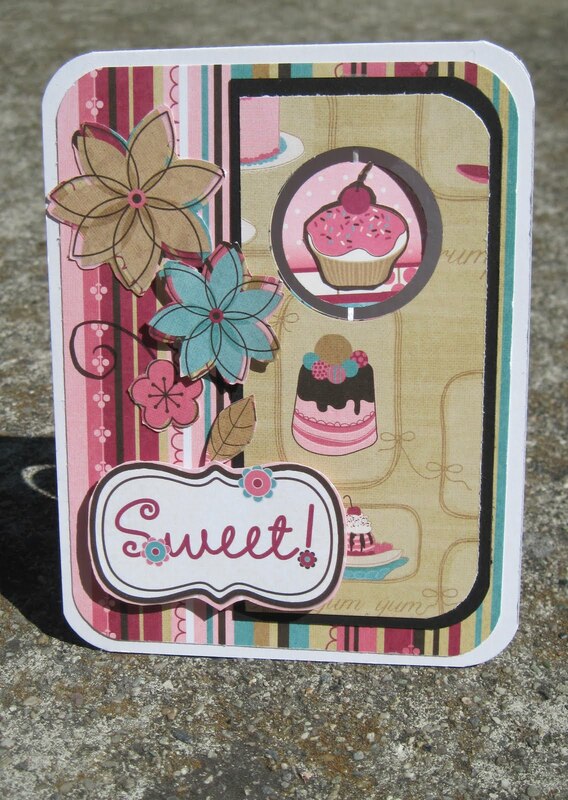 Next, though, Kathy decided that since she doesn't trade ATCs or save them she would use her ATC on a card. 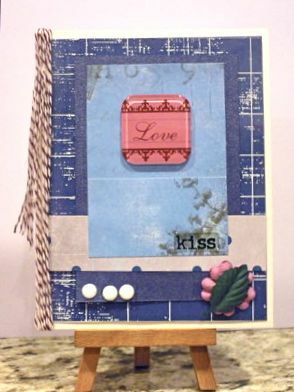 She used last week's basic layout to create a card that featured her ATC as the focal point of the card. I finally got the complete collection of Copic Ciao markers. I bought them as 5 different sets of 36 markers, and the sets each came in a crystal box. At first I thought those cases would be great store the markers, but I soon found that I really struggled to use them. I couldn't see any of the numbers on markers that weren't on the edges of the box, and when I was stuck in bed while recovering from the surgeries the boxes would tip over pretty easily and dump all the pens out. They just didn't meet my needs. But then the trouble of finding just the marker I wanted recurred. It is impossible to see the numbers on the side of the marker, so it is hard to find the right pen. I solved THAT problem by labeling my Ciao caps. I saw several different solutions for doing that on-line, and I combined my favorite ideas into my solution. I created a file with all the colors in numerical order by color family, complete with little circles around the numbers. I printed two copies of the file (I did both ends of my markers.) You can get the file here. I then colored each of the circles with the matching color and then cut the paper into strips by color family. I punched each circle with a 1/4" circle punch, and affixed it to the cap with a mini glue dot. Though it was a tedious and time-consuming job, it was totally worth the effort since I can now find the right color with little effort. I just choose the color I need using my color chart and then go to the right cup and grab the right pen pretty quickly. I really love my new solution! How do you store your Copic markers so they are easy to use? I'd love to hear your solution. My daughter recently moved into a furnished victorian house for her third year of college. In lieu of a desk in her room she has a trundle sewing machine cabinet she plans to use. She really does most of her studying in the library, so this will really be just a place to do some quick homework or jot a note to a friend. She really doesn't want to write directly on the antique wooden surface of the desk, though, so she wanted to have a blotter to use; however, all the commercially available blotters were far too big for her space. So, I made her a blotter, and added a few other pieces for a little desk set. I used a can from french-fried onion rings to make a pencil holder, made a box for a small pad of paper, created a few matching pens out of translucent barrel pens, and made the blotter from a pad of watercolor paper. 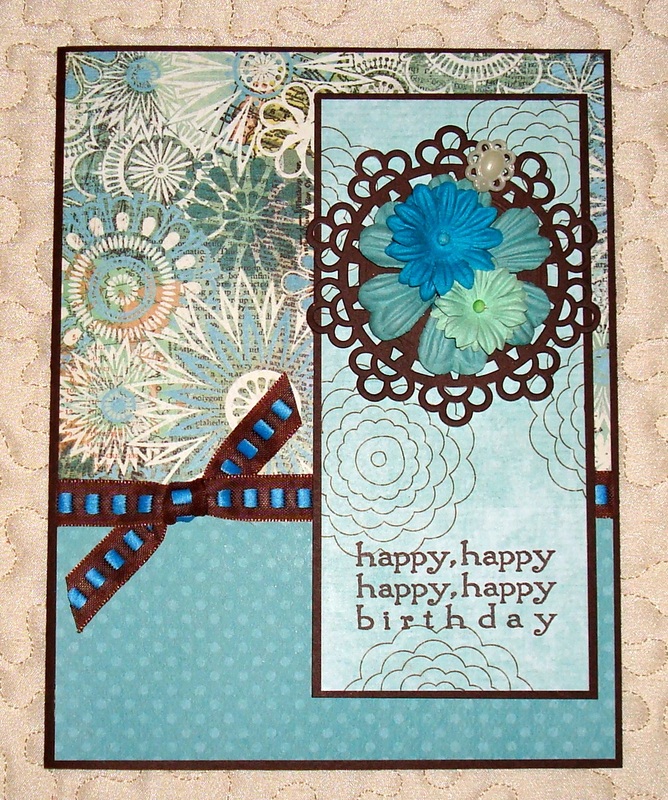 All of the items were decorated with papers from the Authentique Blissful Collection, available at FranticStamper.com. These papers were just perfect for this project. And my daughter loves it on her "desk"! Today we would like to share a couple of how-to videos from Art Institute Glitter. First up is the technique for coloring an image with multiple colors for a rainbow effect. Next we have a video for a beautiful way to make a glitter lace card. We hope you have enjoyed these videos and want you to know that the gorgeous glitters featured in today's videos are available at FranticStamper.com. ahhhh.... that Tim.... always there with unbelievable products. In case you missed all the buzz, Ranger and Tim teamed up to produce a set of 3 "limited edition" fall colors of Distress Inks, which include: Seedless Preserves (purple), Ripe Persimmon (orange) and Gathered Twigs (olive brown). The 3 ink pads are sold as a set only. They are a "stack" set, meaning the 3 pads stack with 1 lid on top. Great for carrying and space saving! Sadly, there will NOT be reinkers produced (yet) for these colors. Of course, if enough people ask the powers that be at Ranger, this may change in the future.... one never knows. Back to the ink pads. Ranger put a limit on how many we could buy through them. We were lucky (or crafty) enough to secure some from other sources (wholesale distributors) as well.... so we have a good stash. However, we're getting very very low on them. If you have not yet secured yours, please email us (fran@franticstamper.com) and we will reserve a set for you. They are due to arrive today and we will be busy shipping out all the pre-orders as fast as we can. Now for the exciting news.... drumroll.... yes, you guessed it: there will be a WINTER set of colors as well. We do not yet have the names or shades of those colors. But, we do have an availability date. Ranger will start shipping them to us on November 1. We should have them approximately 1 week after that. We do not yet know how many they will let us order. If you want a set of those, let us know and we will do our best to reserve a set for you. Read all about it on Tim's blog. Seal an empty envelope. Cut it in half and now you have pockets! Decorate your envelopes with pearl or shimmer sprays. Stamp scenes on your envelopes before mailing. My friend always uses the stamp she used for her card on the outside of her envelope to have a matched set. Trim the envelope flap with decorative scissors before sealing to get a decorative edge. Use envelopes glued together by their flaps to make accordion books. 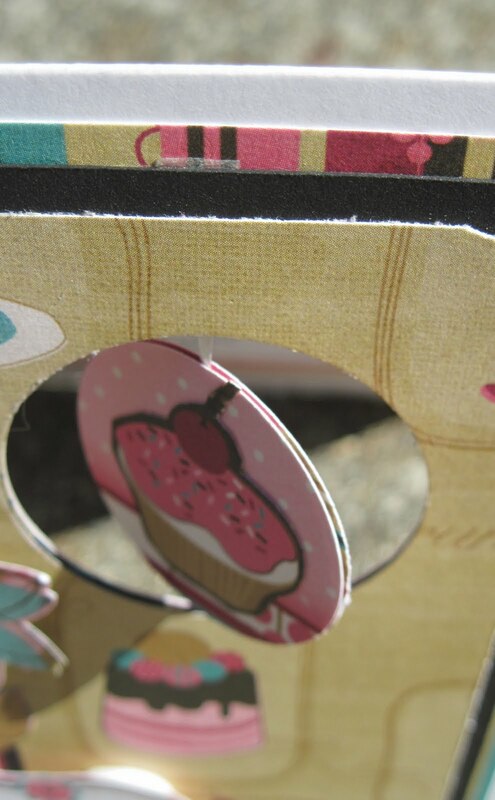 Cut flaps off larger envelopes and glue them together at their centers. Add a cover to form an accordion holders to store your standard cards. Line the flap of the envelope with paper to coordinate with your card. Stamp across the bottom or the flap of the back envelope with a long stamp or a roller stamp. 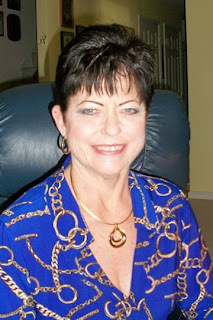 It will help to coordinate your card and envelope but won't interfere with postal processing. Those are our tips for today. 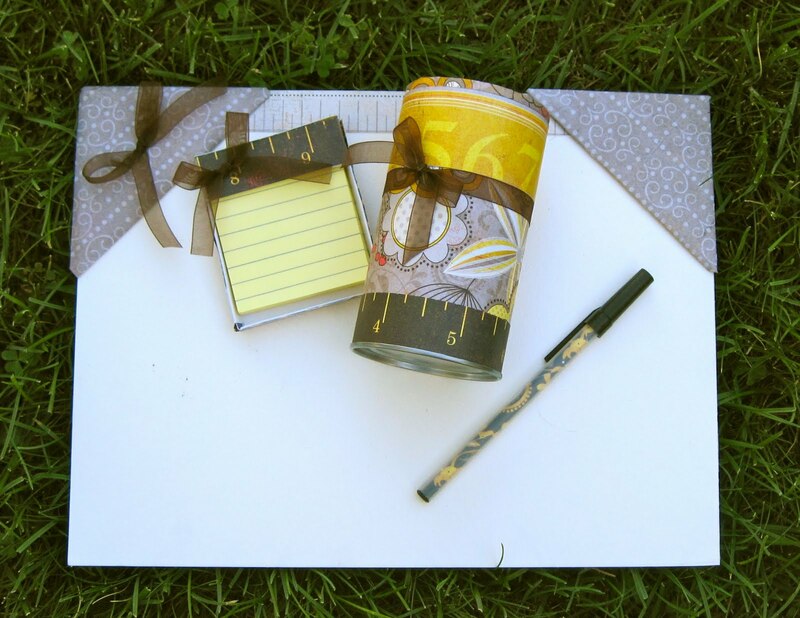 Do you have any creative tips for using envelopes to share? If so, please add to our list by leaving a comment. We would love to hear from you! Today I offer you a card sketch, in blue. "Why blue? ", you ask. Well, as those who know me know, I love any color as long as it is blue! But, I do enjoy other colors as well, and I know this sketch will work wonderfully with other colors, too. I can see this sketch in bright, festive orange, purple, and greens, with a witch stamped in the circle, and a Happy Halloween message. Or perhaps in rich fall colors, with a turkey stamped in the circle, and a "Give Thanks" for a message. Or in red and green plaid, with a Christmas tree. 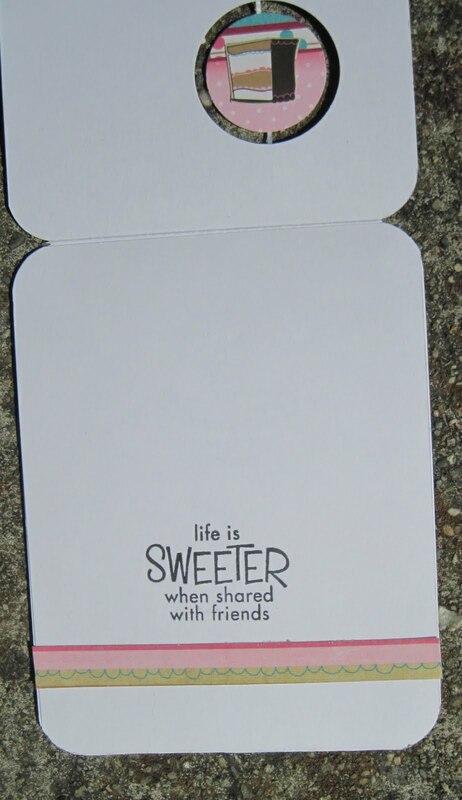 Or in pastel shades with a little elephant stamped in the circle with a "Little One..." for a message. This week, some members of the design team took up my challenge and made a card based on this sketch. We'd like to share. We hope you will join us and play along! Today I am going to share my list of pens that I seem to be using the most often and that I took with me on my month-long trip to the east coast this past summer. I came up with my list after taking a pretty good look at the bulk of the images I like to color. It seems I have a lot of florals and quite a few kind of cute animal images that I like to color, so that influenced my color list somewhat. If you color really different images, your list of must-haves is likely to be pretty different. My floral fandom means that I need colors in the pink, red, coral, violet, and green spectra. 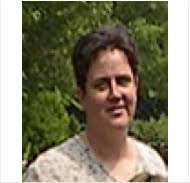 My critter craze meant I would want to have browns, tans, and grays. And then I needed to have some blues because, as everyone who knows me knows, I love any color as long as it is blue! So... without further ado, here is my list of Go To Copics. I also carried a Copic Multiliner and a couple of Momento markers in the side zipper pouch of the wallet. I'd sure love to see which picks you agree with, and which ones you have to have instead. Leave a comment! I really look forward to your input! For this project I used Bazzill Cardstock (Grape Slush, Sea Glass, Apple Crush and Vanilla) and some great papers from Bo Bunny's Peacock Lane collection, along with some warm violet chalk ink and glossy accents to make a fun birthday card. I think that this card can be used for someone of just about any age, and could even work for a man. I cut Sea Glass cardstock to make the base card, in a standard size. I layered on my Grape Slush and patterned paper to complete my base. I cut a piece of Sea Glass and another of Apple Crush cardstock and then layered them with coordinating patterned paper. I then adhered those to the card. I then stamped my image in Warm Violet ink onto Vanilla cardstock, trimmed, and layered onto Apple Crush, Grape Slush, and then Sea Glass cardstock.I adhered my main image to card. 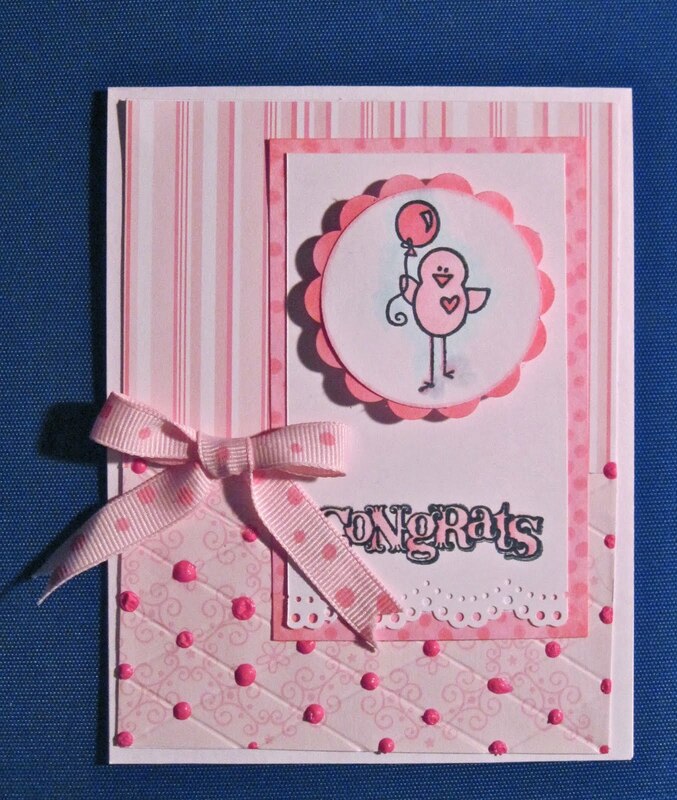 I finished off the card by adding Glossy Accents to the balloon. I hope you enjoyed my card today! It just makes me feel cheery, and I hope it will do the same for you! One of the most versatile products on the market is Alcohol inks. You can buy them in pen form like the Copic markers or in bottle form such as the Adirondack ink range. There are so many ways to use them as well as a bountiful supply of surfaces to use them on. The Adirondack range is supported by Tim Holtz and features refillable pens for application, applicator tools with replaceable felt pads and over 40 different colours including metal mixatives to personalise your surface further. There are lots of different ways to use these inks but one of the quickest is with the use of an applicator with felt pads. Ranger, the same company who creates these inks also produce a great applicator that features a velco surface so you can replace your felt pads frequently. To use a felt pad, place into squarely over the Velcro and gently push into the Velcro to hold it in place. Add only a couple of drops of ink at a time to several different areas of the pad the dab down gently in a dabbing motion to colour. You can also add two or three different coloured drops at a time if you want to get a dappled effect with varying shades. Last year, I created a card tutorial featuring this technique with acetate. 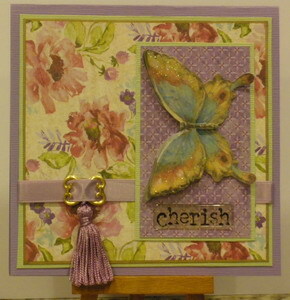 You can find the article here (http://franticstamper.blogspot.com/2010/03/hummingbird-friends-card.html). 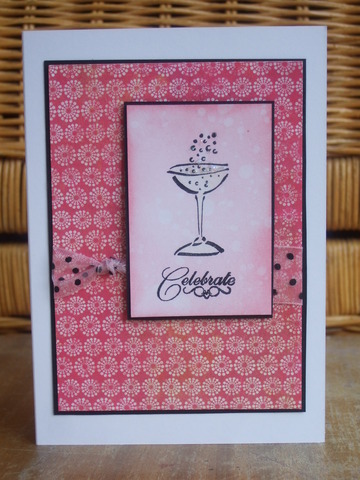 This card featured a panel of acetate which I applied alcohol ink to. Another great use for alcohol inks is to use them to add colour to chipboard shapes and words. You need to begin with a good coat of paint on the surface of the chipboard before you begin, this seals the surface so that the alcohol inks can be blended and don’t just soak into the chipboard. Here I have an actual piece of wood that has been scroll cut to form a word. I painted an undercoat of white gesso over its surface and left it to dry before inking it up with Cranberry, Raisin, Shell Pink and Silver Mixative. One of the things that drew me to Scrapbooking and cardmaking was the ability to use everyday items to create a piece of art. Metal surfaces such as the seal on the inside of a Milo tin or even the sides from an aluminium soft drink can; can all be cut or even run through a die cut machine to create new items for decorating your home. You can dab alcohol ink directly onto metal surface or for something a bit extra, try embossing the metal first. Another alternative is to dry brush a layer of gesso over the embossing, leave it to dry then buff off the paint on the raised paert of the pattern. Finally, dab the alcohol inks over the surface of both the paint and the metal. To create this card, I used a piece of the metal lining from a Milo tin (I usually have a lot of this because of my children’s addiction to Milo)and embossed it before adding a layer of paint and alcohol inks to create this different effect. One of my favourite activities from my childhood art lessons is Marbling. I love the soft feel that inks immersed in water produce. Alcohol inks are perfect for this because the alcohol component reacts with the water’s surface tension in unpredictable ways that can give you some amazing effects. Begin with a flat container of water that is wider than the product you will be marbling. 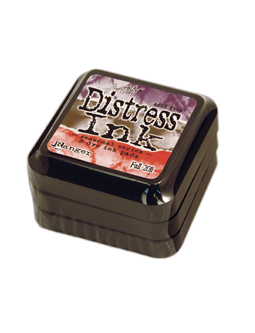 Drop ink onto the surface of the water. Once you have added ink and achieved a look you like, place the paper/card flat onto the surface of the water. 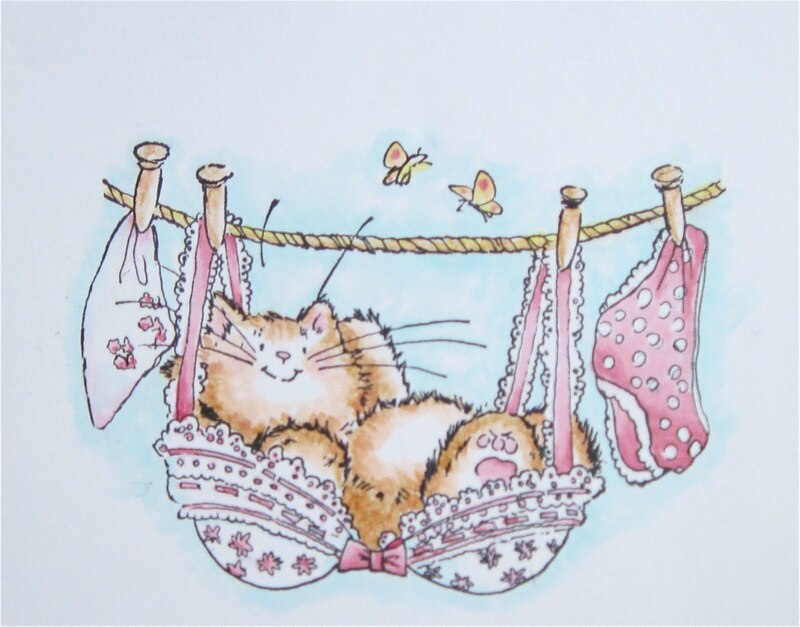 Leave for a couple of seconds then pull up lay flat to dry. The inks will continue to react with the water as it is drying. I used Stonewash, Denim, Cloudy blue and the silver and the Copper Mixatives on white glossy card to create my example. I think the best part of using alcohol inks is probably that they are so translucent. I can use them on a surface that is clear and gain a colour without losing that transparency. This is particularly handy when you want to paint onto clear surfaces or if the object being painted is something you would like to see the sun glisten through. Here I coloured the faceted clear bead with alcohol inks before threading them all together to create my suncatcher. I used the colours … Denim, Cranberry and Citrus with a Silver Mixative. The best part of this project was that it didn’t matter if the colours of the beads where slightly different because the alcohol inks blended them all together. For this photo stand I wanted the colour to be a lot simpler since I was also adding flowers. I used … Citrus, Bottle, pesto and a little of the Silver Mixative (on the tips of the pale pink flowers and the fern leaves). Warehouse Wednesday: Check us out on Facebook!